amaBhungane has uncovered a ‘9-page wedding invitation’ to the double wedding of Rajesh Gupta’s daughter Shubhangi Singhala to Chetan Jain and Atul’s son Srikant Singhala who is exchanging vows with Akhya Bansal. It describes a lavish event taking place over five days from the 19th-23rd of February. #GuptaLeaks exposed that R30m from the Estina dairy project approved by the Free State provincial government and “laundered through a series of bank accounts in the UAE” paid for the wedding. The National Prosecuting Authority decided in November last year to provisionally withdraw the charges against 8 people in the Estina case. Emirates Palace Hotel in Abu Dhabi. There are 14 events planned in the Abu Dhabi double wedding and sources obtained by amaBhungane estimate that the event at Emirates Palace in Abu Dhabi would set them back R100m. The invitation features the crest of the Gupta’s family which enabled journalist to trace a mansion bought in Dubai to the Gupta family. The guest list for the double wedding is expected to include high profile links to the Gupta family from all over the world. 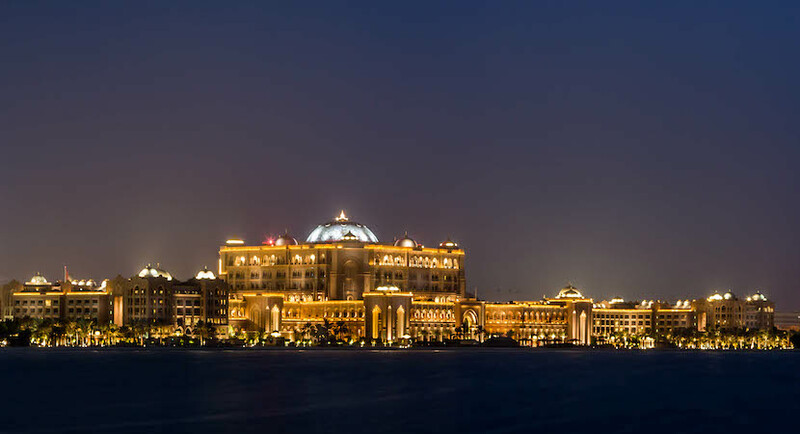 The Emirates Palace, part of the Kempinski Hotels built at a cost of $3bn is estimated to be one of the most expensive hotels in the world. Apart from suites “decorated in marble and gold” and a 60 metre dome “covered in gold leaf”, you could be served a “twenty-four carat gold-flaked cappuccino”. Added to that is a beach stretching 1.3 km and two pads for helicopters and the Emirates Palace specialises in Indian weddings. The wedding invitation also includes the logo of the “Koornfontein mine where miners have gone unpaid since October.” This is where one miner was killed and 20 were trapped after a methane gas explosion; they are believed to have “entered the mine illegally”. The Gupta brothers who have been hiding in the UAE for a year have sent the wedding invitations out as residents of Johannesburg, South Africa, but have been in “self-imposed exile.” They say they don’t trust the National Prosecuting Authority and will not appear in person at the Zondo Commission. The Gupta’s lawyer in South Africa did not respond to a request by amaBhungane for a comment.